Having difficulty uploading files/plugins/themes to your WordPress website on Google Cloud Platform? This problem usually arises from file upload-size limits, which are imposed in your server’s php.ini file. Although there are many ways to fix this problem, the best solution is to edit your server’s php.ini file directly – which is what you will learn in this tutorial. 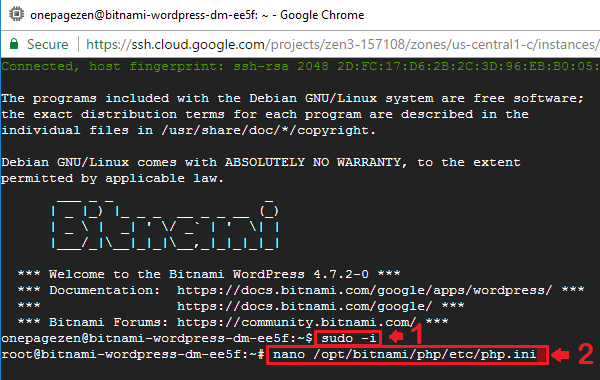 Connect to your WordPress VM instance at Compute Engine > VM instances > SSH. Enter the command sudo-i to run commands as root user. Next, enter the path to your php.ini file. The location of your php.ini file depends on your website configuration (see below). 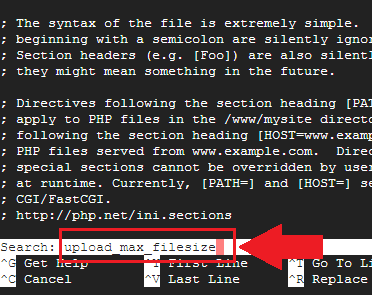 Now that you’ve opened your php.ini file, use Ctrl + W to search for upload_max_filesize. After locating upload_max_filesize, change the existing value to between 40-128M. Then type Ctrl + o to save changes, then Ctrl + x to exit. After making changes to the file, you will need to restart your Apache server for changes to take effect. Your restart command depends on your website configuration (see below). If you plan on importing large theme files, you may have to increase the upload size limit to over 128M. After implementing this fix, you shouldn’t have any additional issues with being unable to upload files/themes/plugins to your WordPress website.